Okay, I have a confession to make. I am one of those women who spent her teenage years always having a hat or scarf to hand to cover my hair whenever it was being unruly and I had somewhere to go. It was only when I was working in a full-time front-of-the-house position that I actually only used scarf when I was sleeping to attempt to get a hairdo last a whole week. But in the past 2 years, I’ve been feeling for hats again. And there’s nothing like Ravelry to keep that particular fire burning. Last week, I found this really cool looking free pattern by the talented Jess at Mighty Aglet, which she calls Les Echelles Slouch Hat. Did it look like the photo on the pattern once finished? Oh yeah, baby! I’m so fussy! Were the instructions easy to follow? Easy peasy to follow. Jess’ instructions are so clear. Any likes or dislikes about the pattern? It was the stitch itself that drew me to the pattern. I just love the whole swirling look. No complaints. 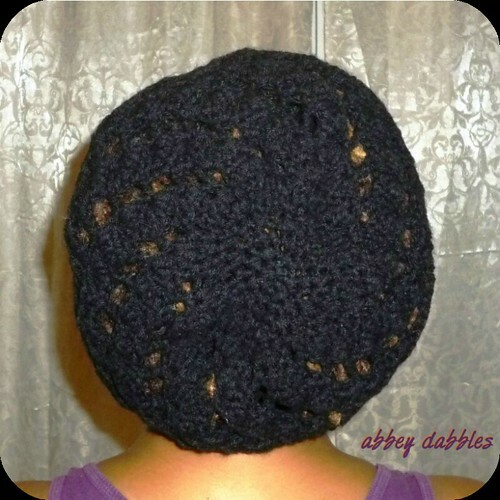 Possibility of crocheting it again? Yup, need to try it with cotton yarn now. 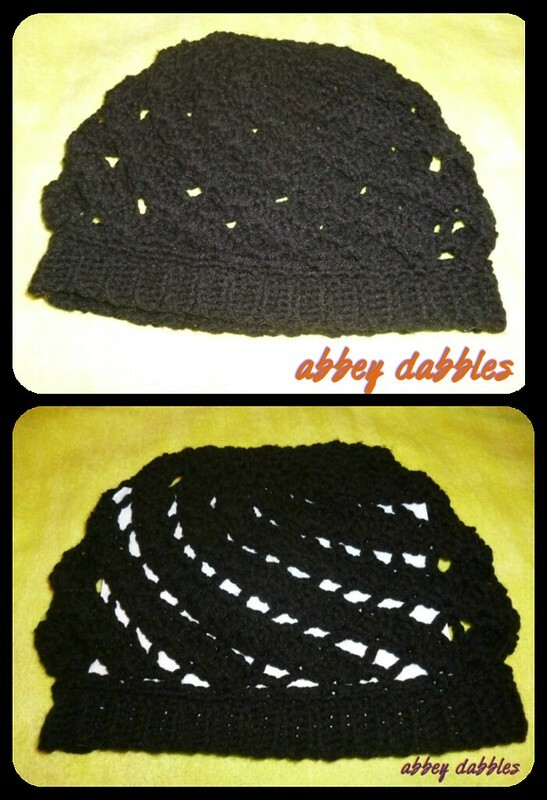 Acrylic yarn always makes the hats too stiff. So, yeah, thanks Jess for the awesome share of this free pattern! You can find more of her stuff on her blog, Mighty Aglet or on her Ravelry designer page. Bad hair days? I ready for wunna now! Wow! I’m so glad you like the pattern! Your hat looks beautiful!! Thanks Jess! It was a really great pattern. Just have to try it now in a cotton worsted weight. I love to sew. I am a sewing pattern tester. I do custom sewing for others. And I've just started sewing bags. I love to crochet too (but don't get to do it as often). I live in Barbados. Join me as I explore my loves and all things beautiful in this world. Want to stay up to date on my adventures? @Regran_ed from @dabblebyad - UPDATE: Please note that POSE fashion show has been postponed due to circumstances beyond my control. Apologies for any inconvenience caused. Thank you for your support and encouragement! 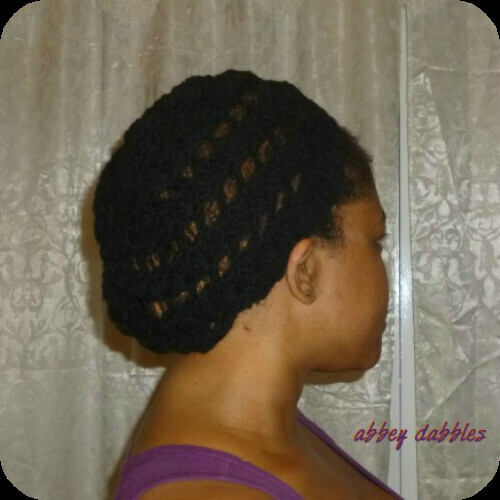 All photographs, tutorials, designs and content are copyright 2012-2018 © by Abigail Doyle, unless otherwise indicated. Any images/ photographs/ designs and content found on this site may not be copied or scanned to a computer, transmitted, published, reproduced, stored, manipulated, altered, or used in any form without the written consent of this blog owner.